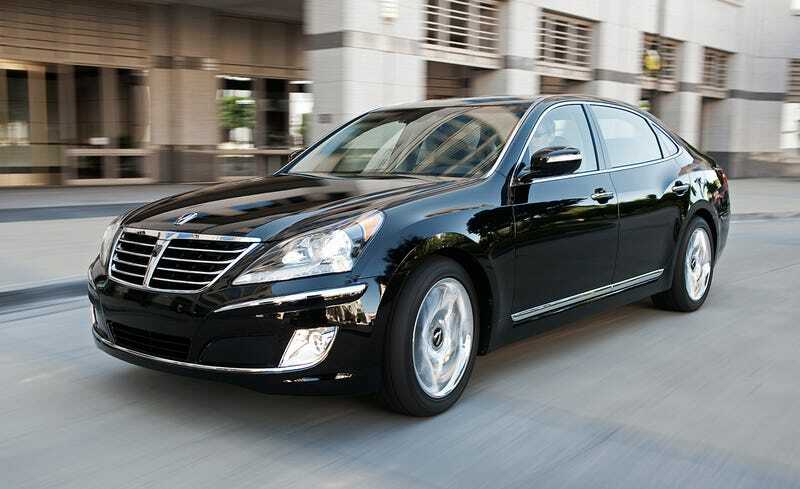 Hyundai/Kia has made it no secret that they want to play in the US luxury market. The Genesis, Equus, and now K900 sedans may not be stealing BMW and Benz buyers, but those vehicles show that the focus and resources are present to make an impact on this segment in the near future. However, product alone is not going to determine success in this playing field. My issue is not with Hyundai/Kia's product offerings, I for one am willing to give them the benefit of the doubt that it takes time to build a serious luxury offensive against the Germans. Lexus did not make it into that league overnight. Rather, my issue is with Hyundai/Kia's dealer experience. As most of you know, I am a professional car-buying consultant. Essentially, I collect a modest fee to make vehicle recommendations, shop, and negotiate on behalf of a customer. Within the past few years I have put Hyundai/Kia on the shopping list of several customers. Many times, I was met with skepticism when, for example, I suggested they test-drive the new Elantra/Forte if they were shopping for a Civic. However, after the test drive the customer changed their mind about Hyundai/Kia being that "budget brand with the long warranty." Unfortunately, almost all of those customers that considered a Hyundai/Kia ended up with a different brand mostly due to their or my interaction with the dealership. When I contact a luxury car dealer the usual reception I get is of cooperation and an enthusiasm to develop a positive business relationship. Sure there have been luxury car dealerships that didn't want to give me the time of day, but it doesn't happen often. What does happen often with Hyundai is a tone of suspicion and an unwillingness to get me the information I need to close a deal. "Hello I am Tom with Automatch Consulting. I have a client looking to lease a (insert SUV here) with leather, navigation, sunroof, and AWD. They have 3500 for a deposit and would like to lease for 36 months, 12k miles a year." Salesperson- "We have 4 vehicles in our inventory, in several different colors. Attached is a window sticker for one of the cars with the breakdown of the lease pricing. Of course if they want specific colors or different equipment let me know, and I will find something else." If this is an email conversation it usually happens within a matter of a few hours. "Hello my name is Tom I am with Automatch Consulting. I have a client looking to lease a (insert SUV) with leather, navigation, sunroof, and AWD. They have 3500 for a deposit and would like to lease for 36 months, 12k miles a year." Salesperson- "Without a specific vehicle we cannot give you pricing you would have to look at our inventory. "I checked your inventory but the way your website displays it I cannot determine which vehicles are of a specific trim level nor can I see what equipment they have. Do you have access to a more detailed inventory and can suggest a vehicle in stock with the equipment I need?" Salesperson- "In order to best determine what car a customer wants they really should visit the dealership for a test drive." "My client already has test driven the vehicle and knows what trim and options she wants, at this point we are looking to see if you have such a vehicle in stock and what you can offer as a competitive lease." Salesperson- "We normally don't discuss lease pricing over the internet. But if your client comes to our dealership we will give them the best deal." "My client will be driving over an hour to visit your dealership. Your competing brand's dealerships have all given me their most competitive price via email. I am confident you can offer us a good deal, and encourage my client to take the drive to your dealership." This email conversation usually happens over a few days. Normally after that last email, I don't get a response. I understand that having a "consultant" contact a dealership can be strange for some. And perhaps luxury car dealerships are more accustomed to dealing with wealthy customers so it does not seem out of the ordinary to have someone else do the shopping/ negotiating. However, I think for so long Hyundai/Kia has been catering to a clientele that was not as "savvy," so it seems they have an archaic approach to dealing with this new type of car-buyer. But times have changed, and Hyundai/Kia's product has changed. What these dealerships fail to realize is that every time they are uncooperative it makes me less likely to put a Hyundai/Kia on a client's shopping list and more likely to push a brand that still offers a quality product but also facilitates a better sales model. So if Hyundai/Kia really wants to play in the luxury car market, they need to start focusing on knowledgeable salespeople (I can do an entire post on Hyundai/Kia sales staff's lack of product knowledge) and a responsive internet sales team. While I have mentioned previously that the salespeople are a direct product of dealership management, it is the brand's philosophy towards the car buying experience that often dictates management's approach. No car-buyer wants the run-around on pricing and availability, luxury car buyers have even less tolerance.